As an experienced acupuncturist-herbalist, Dr. David Cook knew from the beginning, when he began his search for an EHR, that his “eastern style” medical practice would require flexible software in order for him to be successful. He also wanted an EHR that was effortless. 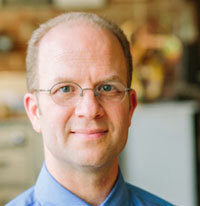 Prior to opening his private practice, Dr. Cook worked full-time at Kaiser Permanente. It was after he changed his schedule to part-time at Kaiser, and started billing his own practice two days a week, that he began the search for an EHR. But the road to finding the right EHR system can be a bumpy journey for any provider, especially when there are many choices on the market to sift through that often don’t meet the basic criteria of a practitioner’s need. Early on, Dr. Cook was already looking towards the future of his practice. Although his patient volume is relatively low (he operates his private practice part-time), he anticipates making the shift to a more full-time private practice in the near future. When he makes the shift to a full-time practice he anticipates seeing between 150-200 patients every month. Selection Criteria: What makes the perfect EHR? Currently, Dr. Cook manages everything from payroll to appointment scheduling on his own. As a result, every minute that he saves through an efficient and intuitive EHR is that much more valuable to him. This is in part the reason he ruled out the other EHRs. That was until he tried ChARM EHR. When a patient comes into his office, Dr. Cook uses ChARM to enter their key complaints and decide which level of intake he needs to do for the appointment. He created these intake levels using a ChARM template.